Our Spring Break happens each year in early March. So early in fact, it’s before the Spring Equinox. We are always guessing what type of weather we’ll end up with, hoping for beautiful, warm sunny days. 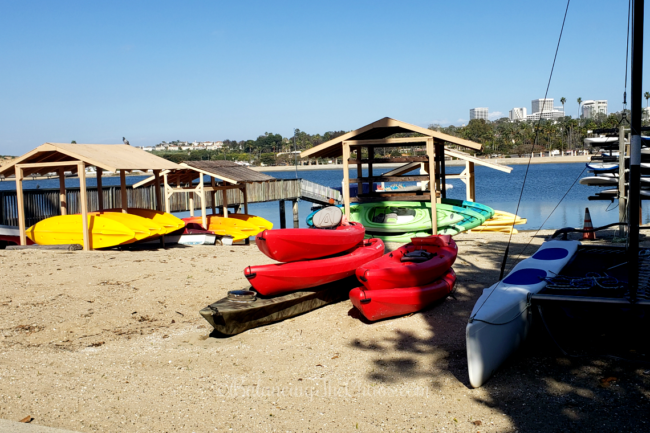 This year, we decided we’d spending the break camping, one of the resorts that was highly recommended was Newport Dunes Waterfront Resort and Marina. 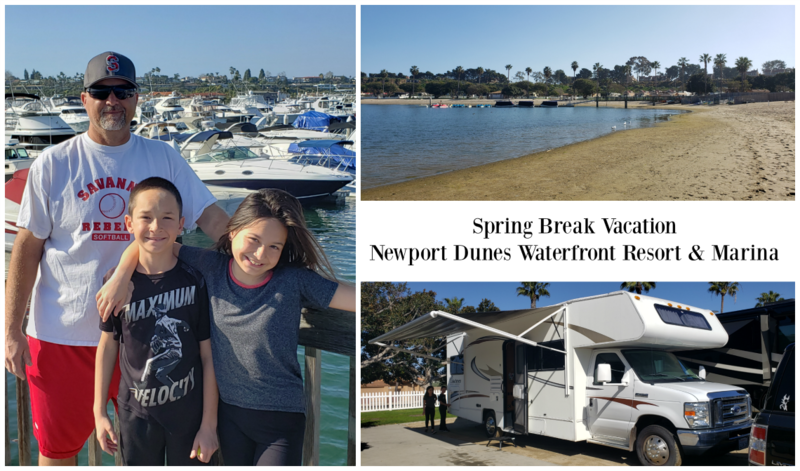 In fact, it is one of the Top 10 Best Luxury RV Resorts in the U.S.
During our Spring Break, we had the opportunity to stay at the Newport Dunes Waterfront Resort and Marina. They offer 372 – RV, tent camping and cottages. We arrived in the afternoon as check-in begins at 2 p.m. We quickly found our site as it was along the beachfront. 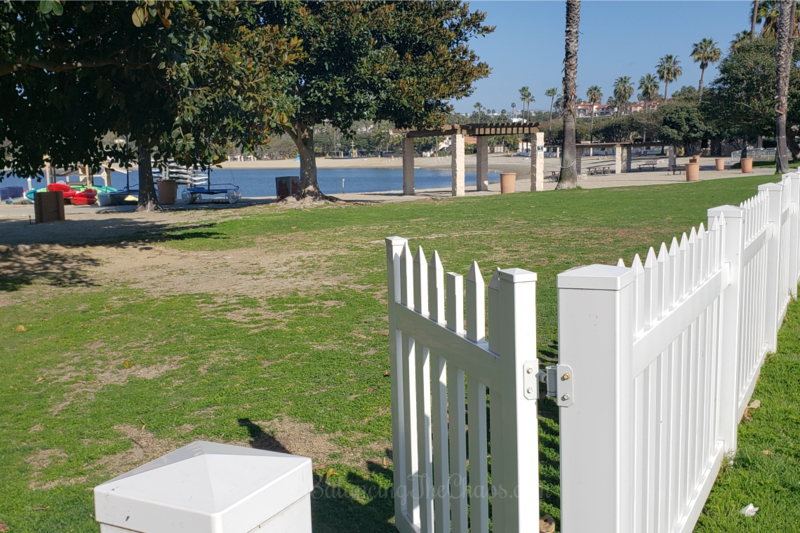 This is a great location as there was a large grassy area, a white picket fence that had many openings, right out onto the beach. After we set up our RV and campsite, we went exploring. As we walked along the beach, we realized that it was a beautiful, peaceful and quite day. There were very few people on the beach, mainly because we were on our Spring Break so early. Another reason could be that Newport Dunes is only a few minutes from Fashion Island, 40 minutes from Disneyland and Knott’s Berry Farm and local Orange County attractions, and maybe an hour and a half from San Diego. Once we’re done exploring, we’re usually ready for dinner. The Back Bay Bistro offers delicious food right along the water’s edge. You have the option to sit inside under their retractable roof or enjoy the refresh ocean breeze on their dog-friendly, heated patio while enjoying the scenery of the gorgeous Newport Bay. If you decide to go off property, there are so many options so close, the possibilities are endless. 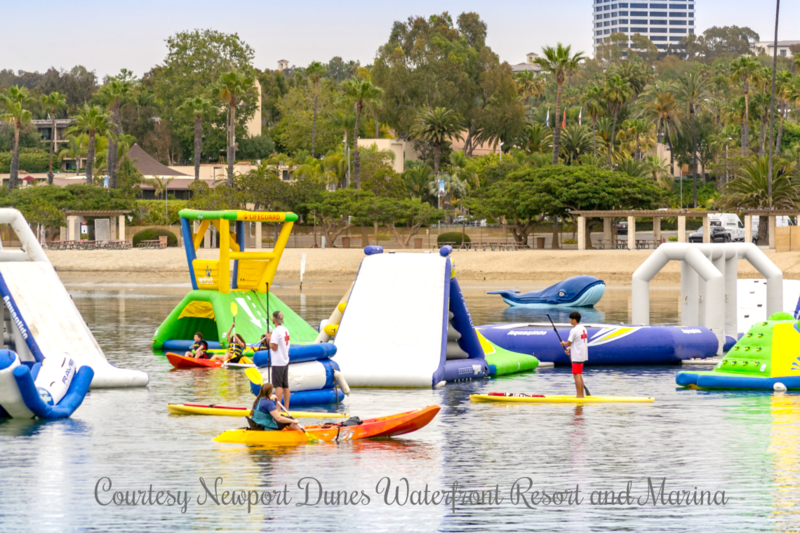 During the summer months, starting Labor Day weekend, Newport Dunes Waterfront Resort and Marina’s summer season begins with the opening of the Floating Water Park which includes giant inflatable rafts anchored in the middle of the bay. 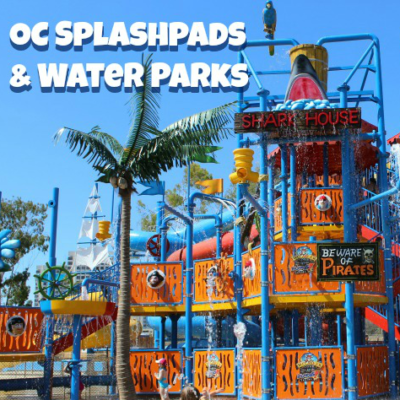 This year, they are predicting the Newport Dunes Water Park will be double in size of what guests enjoyed last year. 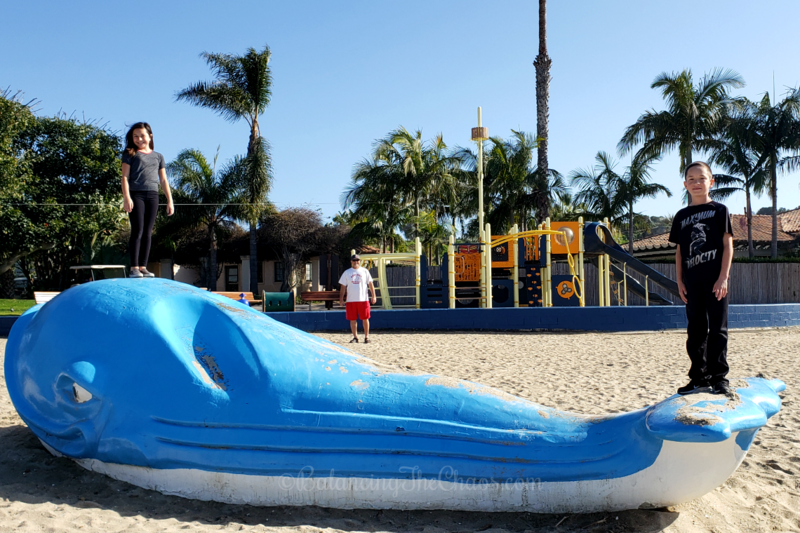 During the summer, there are fun activities offered throughout the day for families as well as special events like movies on the bay and on the shore and an arcade. 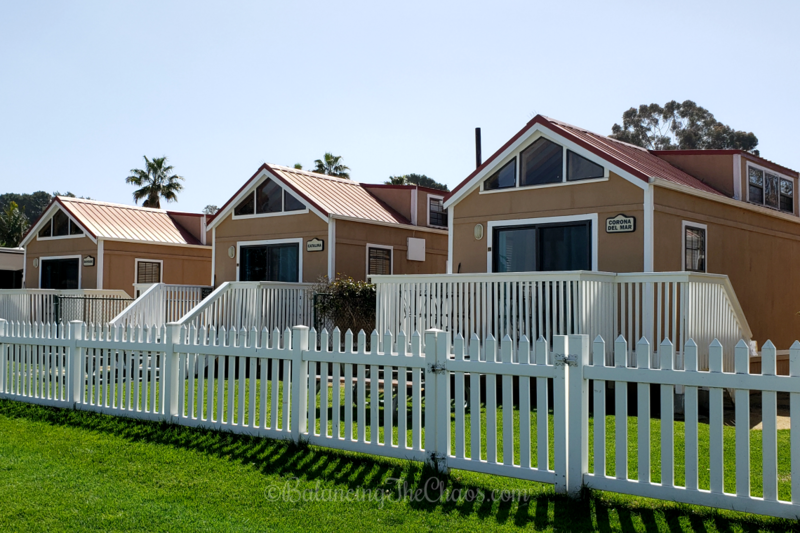 If you’re staying at the Newport Dunes Resort for any length of time and plan on heading out to the water front, you can rent cabanas on the beach for a little shade (a great option if you’re hosting a gathering right on the beach). They also have canopies for rent that come with tables and chairs. For the youngest guests, they have a kids club. Children of all ages can enjoy a resort vacation personalized just for them. 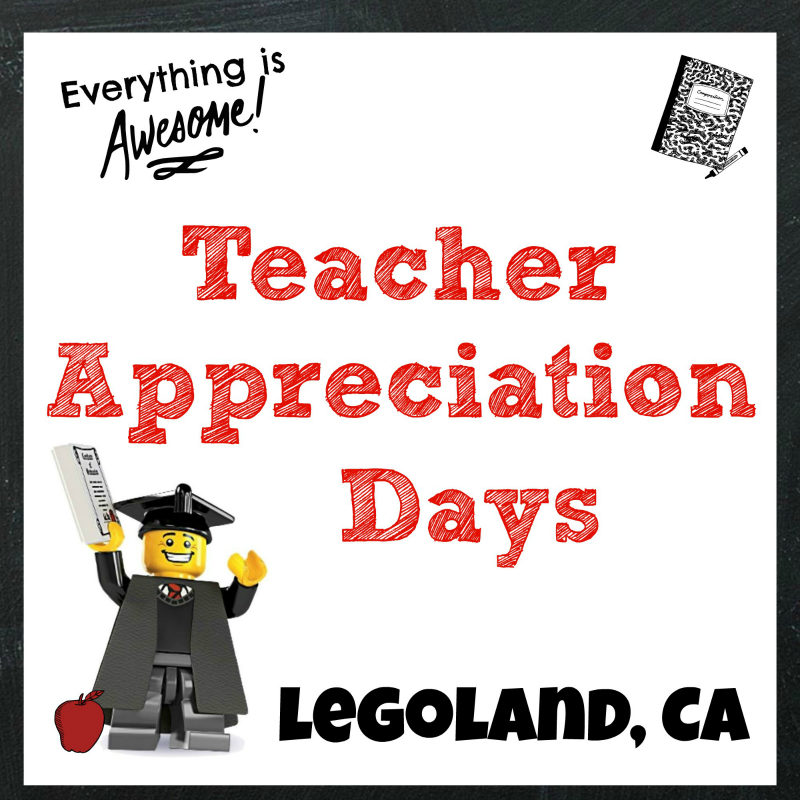 Pizza parties and game nights to kayak racing and movies on the beach, they host activities scheduled every month, throughout the year, to keep children’s’ developing minds engaged. 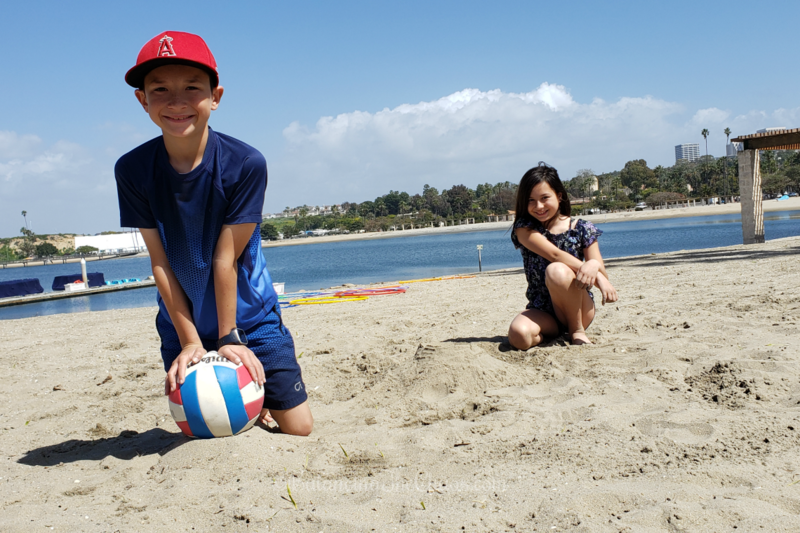 Newport Dunes Kids Club offers children and their families supervised programs with a primary focus on three key areas: adventure, creativity and exploration. 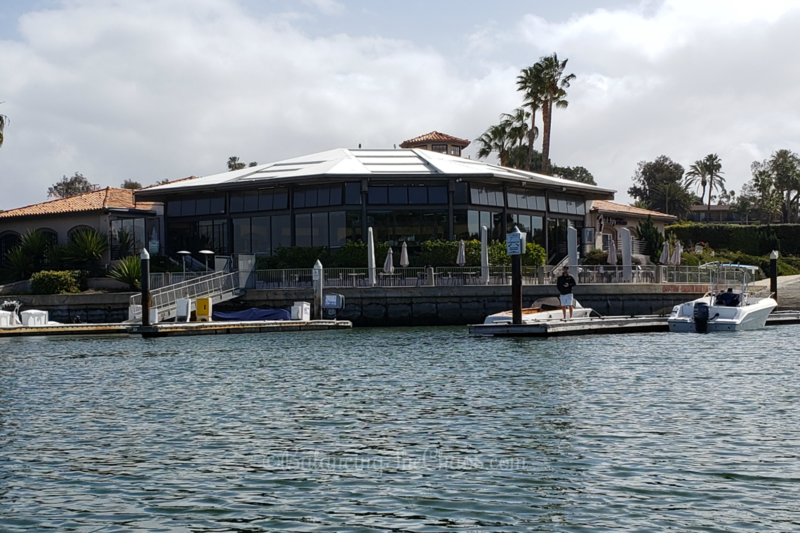 If your Spring Break is in the next few weeks, I’d recommend checking out Newport Dunes Waterfront Resort and Marina, especially if you need a little quiet and relaxation. We really enjoyed our time, and are looking forward to returning and checking out all the fun at the resort this summer.